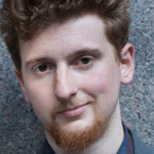 Caleb Maupin is a radical journalist and political analyst who lives in New York City. Originally from Ohio, he studied political science at Baldwin-Wallace College. In addition to his journalism, analysis, and commentary, he has engaged in political activism. He is a youth organizer for the International Action Center and was involved in the Occupy Wall Street movement from its planning stages in August 2011. He has worked against police brutality, mass incarceration, and imperialist war. He works to promote revolutionary ideology, and to support all who fight against the global system of monopoly capitalist imperialism. US society is unhealthy, because there are not isolated cases of individuals performing horrendous acts of violence, said Caleb Maupin from the International Action Center. This mass phenomenon can’t be separated from the whole of society, he added. 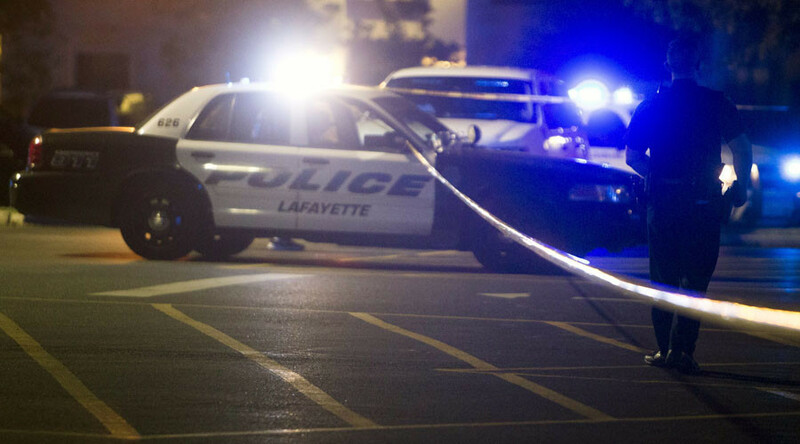 An armed man opened fire in a movie theater in Lafayette in US state of Louisiana. He killed two people and wounded seven according to police. The gunman then turned his weapon on himself. RT: We have seen several violent shootings in the US so far this year. What are the main reasons for such repeated violence? Caleb Maupin: It seems almost like clockwork here in the US. We hear about yet another mass shooting. Someone is just engaging in a mass shooting attempting to take people’s lives. It seems like barely a week goes by without this happening. As much as people try to say that this is an isolated incident, these are lone individuals who just lose their minds and engage in this. This is a pattern and it seems to happen so frequently. And when it gets down to that you can’t separate it from the fact that at the same time as people are losing their minds and committing these horrendous acts of violence, every day the president is killing people with drone strikes, and innocent people are being killed. The US is also the primary exporter of arms around the world. When you have a society that is so violet, in so many ways, so many people in prison, and so much everywhere, things like this tend to take place. We have a big problem here in the US. That needs to be recognized that there is a huge problem with the US society. RT: What's the main force driving these shooters to resort to this type of violence? CM: US society is based on money and capitalism with so much violence everywhere and so much state repression. This society is highly conducive to insanity; this is not a healthy society. So many people around the world are kind of drawn into this illusion that the US is some ... free market paradise where everyone has loads of iPads and electronic technology and just lives a happy live. US society is very unhealthy and is highly conducive to the kind of insanity that we see so frequently with people going and committing these mass shootings. Something is wrong. It’s not just a case of isolated individuals - it keeps happening over, and over, and over again. We see these horrendous acts of violence taking place... You can’t separate this mass phenomenon of people going out and committing mass murder, you can’t separate it from the society in which it takes place. RT: What should be done to prevent similar cases of violence in the future? CM: Efforts need to be taken to make a society in which people’s lives are valued. All that seems to really matter in US society is money. We have politicians and leaders who are unconcerned about the suffering people are living in. In addition to this mass shootings taking place so frequently we have homeless people on the streets. Millions of people in the richest country in the world sleep on the streets every night, and most of them are military veterans - people who served in the military. We can’t even provide them with decent housing when they return. US society is a society filled with such alienation. People have not bound to one another, people have no concern for each other, and everyday we’re seeing war, and the government is pushing for war, further attacks around the world exporting arms and weapons, the police are everywhere searching people, frisking them, we see the violence committed by police officers against civilians so frequently. We live in a society that is extremely unhealthy and extremely conducive to violence and insanity. And something must be done to address it. The way US society has been established, the way US society continues to function is just not healthy. If changes don’t come about, we are only going to see more and more of these incidents. RT:What kind of measures do you think the government could introduce to restrict access to weapons for certain individuals who could pose a threat? CM: Gun control isn’t working. I’m talking to you from New York City which has the strictest gun laws than any section of US society in a country. You can’t even have a hunting rifle here without a permit, the police have the right to stop you and search you for weapons at any point, and there are still all kinds of violence that goes on in New York City. Gun control doesn’t work... There is a deeper problem- the problem isn’t simply access to weapons. The problem is the way US society is set up, and the way the US society functions. If the problem were only gun control, the New York City would be the most peaceful place in the world. But that is simply not the case.